But how did Champaign County happen to have an empty school to donate to the University in the first place? The answer involves God, money, war, and politics. In January 1859, a Reverend Jonathan C. Stoughton visited Champaign County. Stoughton represented a company of men that hoped to establish a series of schools throughout Illinois, and had come to meet with the leaders of Urbana and West Urbana (now known as Champaign) about founding one here. Their model would be the Clark Seminary they had previously established in Aurora, Illinois. Citizens of the two towns looked favorably on the idea, and by June 1860, $40,000 had been promised for construction of the building (1). 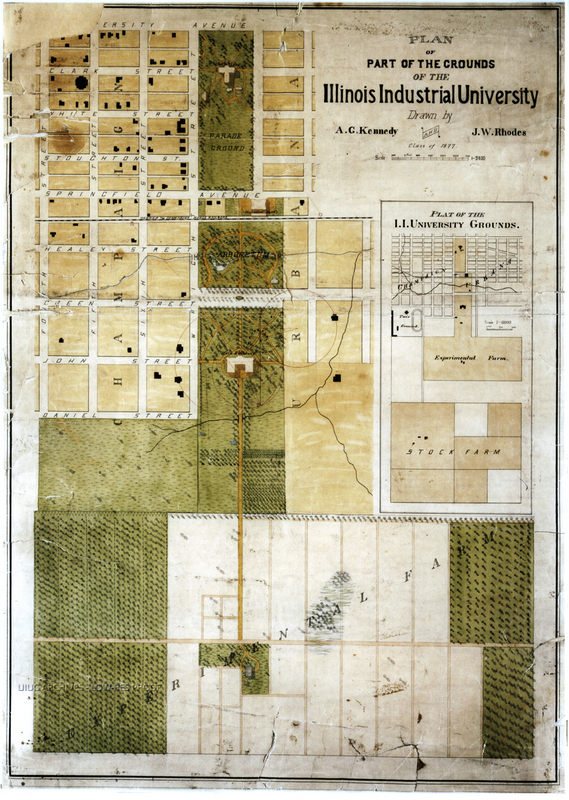 In February 1861, the Illinois state legislature officially incorporated the Urbana and Champaign Institute, a “Seminary of Learning comprehending an agricultural, or other departments, as the public may demand, situated between the cities of Urbana and Champaign, in the county of Champaign, and State of Illinois, for males and females…with power to confer degrees and give diplomas, such as are common in such institutions”(2). 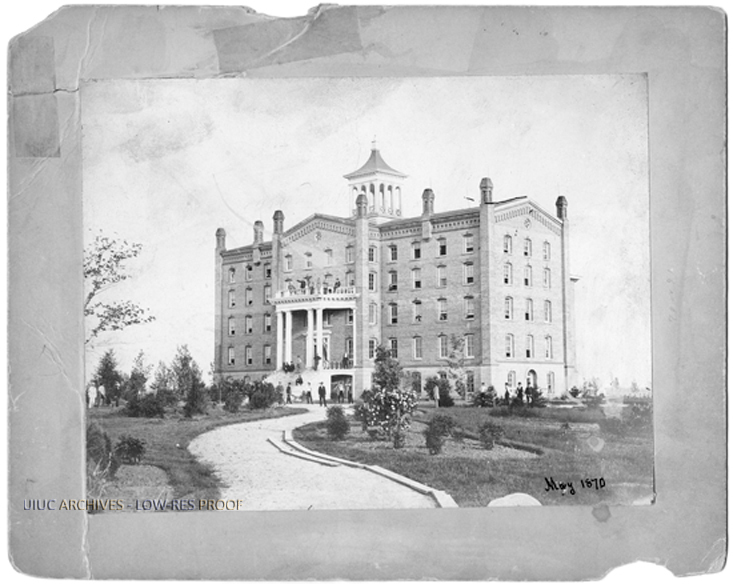 A Board of Trustees was established, and the cornerstone of the Institute was laid on August 6, 1861 (3). The Institute may have remained a large hole in the ground for some time if not for the Morrill Act of 1862, signed into law by President Abraham Lincoln on July 2nd. The Act provided funds to each state of the Union to establish an agricultural and mechanical college. 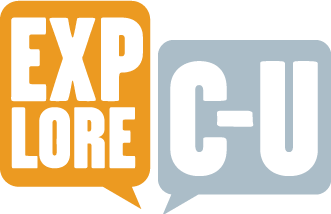 Champaign County leaders saw that these funds could be used to complete and operate the Institute, if the Illinois state legislature could be persuaded to locate the new state college in Champaign County. The county offered to buy the Institute building from Stoughton and company, but only if the state officially located the new University in Champaign County. This was agreeable to Stoughton, and construction of the Institute continued. The building was sufficiently complete by October 1864 to greatly impress a group from the Illinois governor’s office (5). 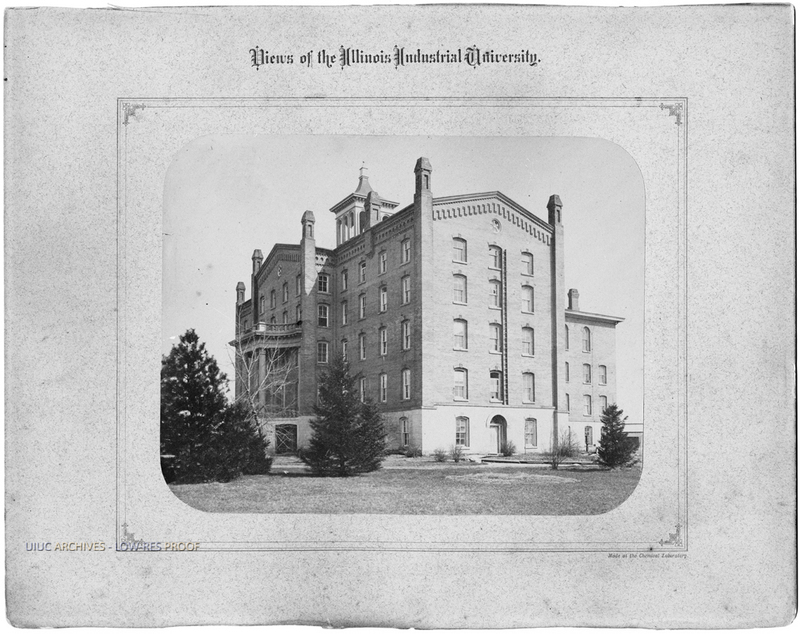 In January 1865, Champaign County officially offered up the Urbana and Champaign Institute, an uncompleted building not yet owned by the county, to the state of Illinois to house the Illinois Industrial University. 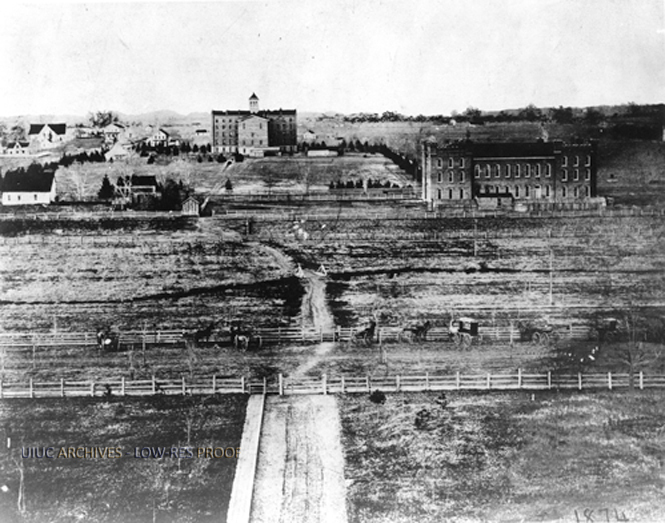 After the Illinois General Assembly also considered bids from the cities of Jacksonville, Bloomington, and Lincoln, the Illinois Industrial University was officially established at Urbana in February 1867. The initial campus consisted of the Institute building and 980 acres of adjacent farmland (6). The interior of the building was still unfinished; this was actually seen as an advantage by one advisory group, giving flexibility in the initial design of University facilities (7). As promised, Stoughton and company were paid $24,000 for a school that never hired a professor, held a class, or even finished construction. The Institute was then donated to the University by Champaign County. The Institute building became known as the University Building, or the Old Main University Building. To some, it was still “The Elephant”, although some of the sting of the nickname had apparently faded. It eventually housed enough classrooms for 400 students, and dormitories for 130 (8). Thirteen years later, after other buildings had been added to the campus, it was simply the Dormitory Building. In April 1880, a particularly nasty series of storms struck Urbana and Champaign. At approximately 1:00 am on April 19, a portion of the building’s west exterior wall fell down, and later that morning a large part of the roof was shorn off by wind (9) The dormitories in the west wing were vacated, and shortly thereafter the entire building was judged “not fit for use” (10). The building was torn down not long after (11). Rory Grennan, “Life and Death of the Elephant: the Secret History of the First University Building,” ExploreCU, accessed April 21, 2019, https://explorecu.org/items/show/169. (1) Powell, B.E. (1918). Semi-centennial history of the University of Illinois: Volume I (pp. 197-201). Urbana, IL: University of Illinois. (2) Quoted in Powell, p. 466. (3) Powell, p. 202. (4) Powell, pp. 202-203. (5) Powell, pp. 203-305. (6) Solberg, W.U. (1968). The University of Illinois: 1867-1894 (pp. 77-79). Urbana, IL: University of Illinois Press. (7)Powell, p. 207. (8) Circular and catalogue of the Illinois Industrial University (p. 3). (1868). Chicago: Church, Goodman, and Donnelly. (9) Talbot, A.N. (April 25, 1880) “Tornado” (diary entry). Arthur N. Talbot Papers, 1874-1942, Record Series 11/5/21, Box 6, University of Illinois Archives. (10) 10th report of the Board of Trustees of the Illinois Industrial University (p. 17). (1881). Springfield, IL: H.W. Rokker. (11) James, E.J. (1920). Sixteen years at the University of Illinois (p. 78). Urbana, IL: University of Illinois Press.